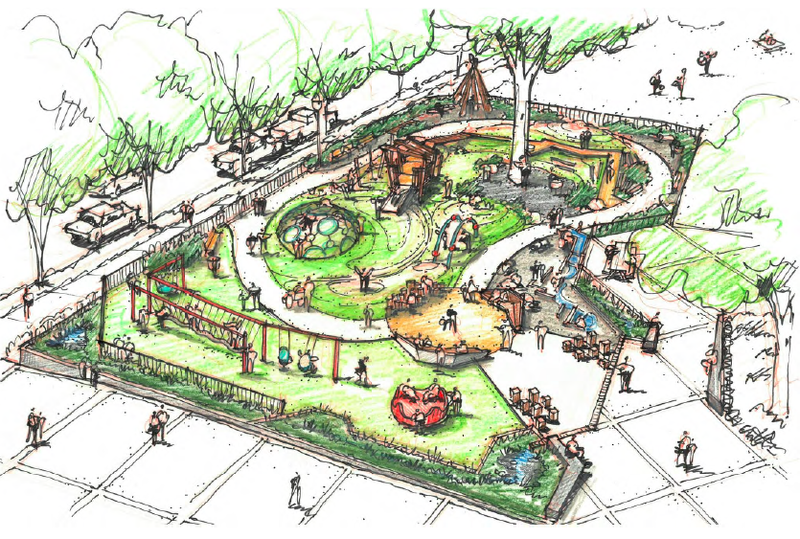 Part of our pitch to the City of Portland to create 4 more Harper’s Playground by 2020, also known as our “One For Every Quadrant” idea. We were approached by members of the Metropolitan Learning Center community, specifically parents and students who had formed the group “Friends of Couch Playground”. They were keenly interested in working with us to bring a Harper’s Playground model play area to replace their recently demolished and much beloved large structure. 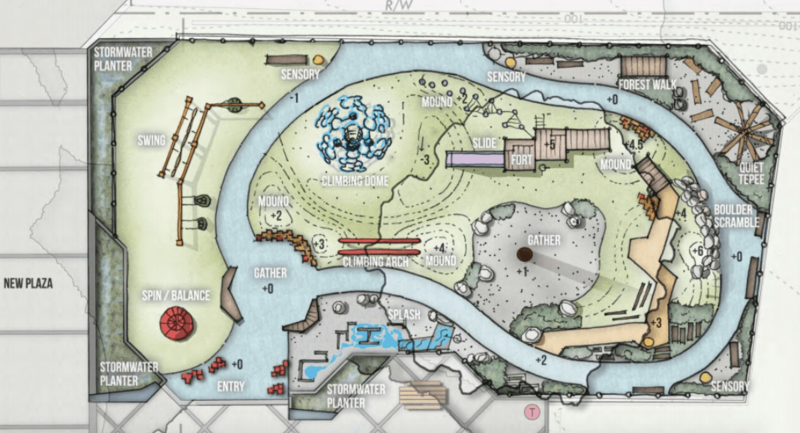 A recently passed parks bond to replace the structure was not nearly sufficient to cover an inclusive nature space that we all dreamed of, so we collaborated to raise more that $500,000 and worked closely with the community to ensure the design was inclusive and natural.